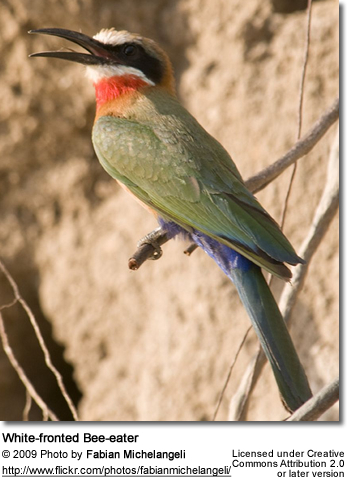 The White-Fronted Bee-eater, Merops bullockoides, is a species of bee-eater widely distrubted in sub-equatorial Africa. Their habitat commonly consists of open country, often near gullies. 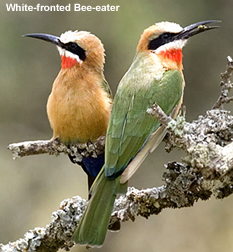 This species, like other bee-eaters, is a richly colored, slender bird, but with a distinctive black mask, white forehead, square tail and a bright red throat. 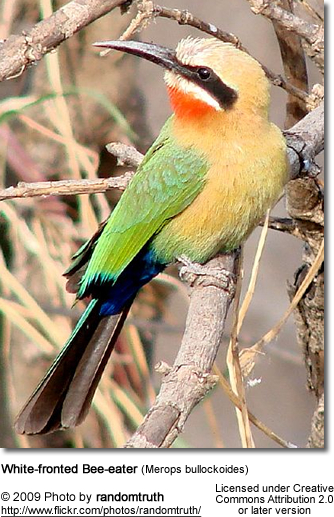 The upperparts are green, with cinnamon underparts. The call is a deep squeak. 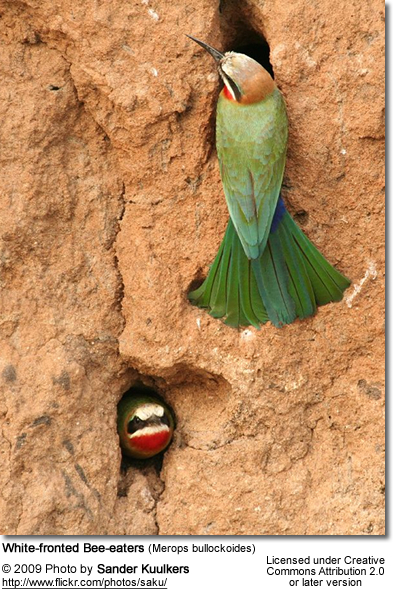 They nest in small colonies, digging holes in cliffs or banks of earth, and have one of the most complex family-based social systems found in birds. 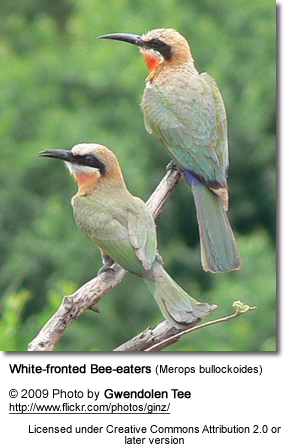 Colonies comprise family groups, known as "clans" which exhibit co-operative breeding. 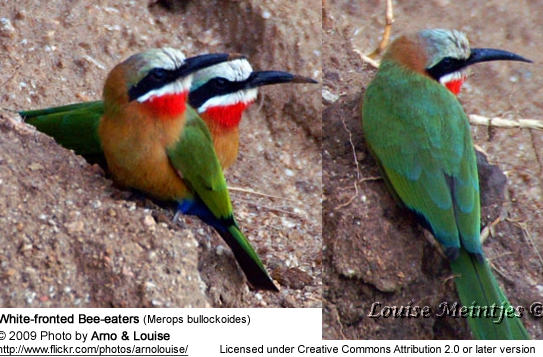 Non-breeding individuals become helpers to relatives and assist to raise their brood. Their diet is made up primarily of bees, but they also take other flying insects depending on the season and availability of prey.